To add more gravitas to this announcement, Intel will be showcasing a 5G-enabled 2-in-1 concept PC at the Mobile World Congress in Barcelona at their booth. Intel has been at the forefront of testing the next generation 5G technology that is expected to start rolling out sometime in 2020. While Intel has been conducting field trials in various segments such as Fibre to the Home (FTTH), automotive technology, interoperability testing with carriers and more, it has now promised a date for getting 5G on PCs and laptops. Intel will be partnering with PC makers Dell, HP and Lenovo to get 5G connectivity onto PCs and laptops by the second half of 2019. To add more gravitas to this announcement, Intel will be showcasing a 5G-enabled 2-in-1 concept PC at the Mobile World Congress in Barcelona at their booth. This will be a global first where we will be seeing a 5G-enabled PC being in operation. The 5G-enabled PCs are expected to be running on a platform which will bring together the Intel XMM 8060 5G modem along with Intel Core processors. Announced in November 2017, the Intel XMM 8060 5G modem is the company’s first commercial 5G modem which is capable of delivering multi-mode support for 5G non-standalone as well as standalone New Radio (NR) along with 2G, 3G (including CDMA) and 4G legacy modes. This demonstration is a precursor to the commercial rollout of the 5G-enabled PCs, which will happen in the second half of 2019. But before we proceed ahead, a little primer on standalone and non-standalone is in order. Standalone mode is when the technology does not require to fall back to 2G/3G/4G (and other legacy networks) and can function in and of itself. But, in the case of service providers, the non-standalone method of deployment is important if there is a large legacy asset base. For a brand new player on the 5G network, standalone is the way to go. To give a quick analogy, in the current scenario, telecom providers such as Airtel, Vodafone and others who offer 4G as well as 2G/3G services — as they have a lot of investments in legacy networks — would be ‘non-standalone players’. Whereas a new player such as Reliance Jio, which started offering only 4G services and has no need to fall back to legacy networks as it doesn’t have any investments there, would come under the ‘standalone’ category. The Intel XMM 8000 series modem is capable of providing 5G services as well as an option to fall back on legacy networks. Speaking about the upcoming demos at MWC 2018, Rob Topol, general manager of 5G Advanced Technologies at Intel said that the company will also be showcasing its 5G NR (new radio) interoperability trial. 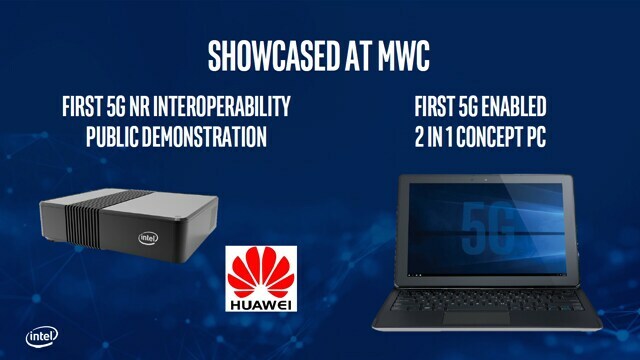 The interoperability trial showcases how Intel’s 5G modems interface with carriers from another company, Huawei in this case, and how it is expected to be a seamless communications experience across different vendors working on 5G technology. “Mobile trial platform with 5G NR interoperability public demonstration will be shown on the show floor. We will be FPGA (field programmable gate array) focussed as it’s a flexible platform. It lets us adapt it according to the use case. We will be demonstrating with Huawei an over the air interoperability 5G NR. We will also have a chipset-based 5G-enabled 2-in-1 concept PC,” said Topol. 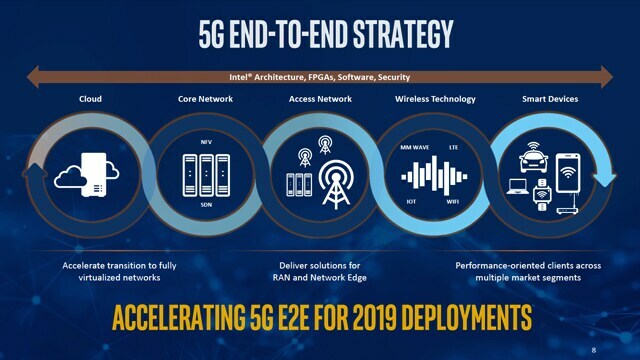 Intel is also focussed on providing end to end 5G solutions, in a way that it has stakes not only at the client side (which involve laptops and phones powered by Intel’s 5G modems) but also at the cloud and core network and at the network delivery side. What this means is that Intel will be present every step of the way in some capacity of the 5G transformation. Not just this, but it will also be working with other partners to ensure that interoperability between various players is maintained. To that end, Intel is ensuring that its platform is open source. “Intel's 5G network architecture is an open-source platform. Our solutions are open source. Our trials will be standards-based,” said Topol. Just like the laptops and the PC space, Intel does not want to be left behind in the mobile space. And to that end, it will be partnering with chipmaker Spreadtrum. 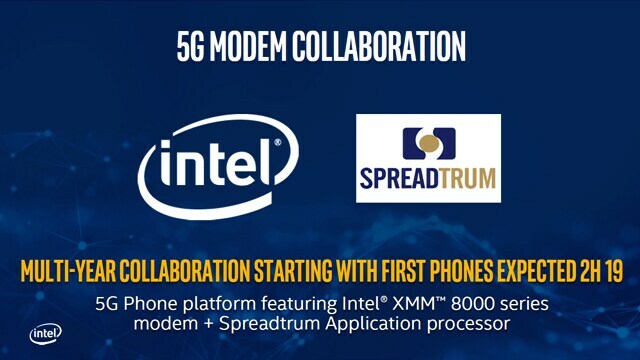 “Intel will be collaborating with Spreadtrum to build the first 5G-enabled phones in 2H 2019. Spreadtrum SoCs will be combined with Intel XMM 8000 series modems,” said Topol. 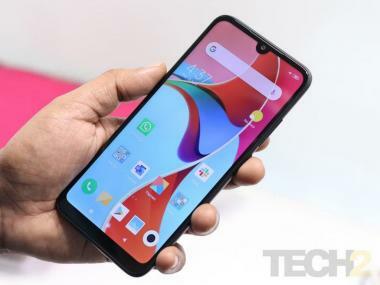 When asked if 5G supporting handsets will have any kind of design changes, Topol said that 5G handsets will definitely bring about some design challenges. “When you think about a platform that can go up to speeds up to 5 Gbits per second, it presents thermal and power challenges. Heat dissipation will be a challenge. The way you build a modem architecture will be important. It is different than speeds we are used to in 4G. It is important in design stages as well,” said Topol. Intel is already conducting over 25+ 5G trials across the globe with multiple partners and OEMs across various fields. In Japan it has automotive car trials being run in partnership with NTT DoCoMo, it has demonstrated 5G connections on cruise ships in partnership with Telia and Ericsson, it’s working with China Unicom and other partners to provide multi-access edge-computing solutions inside the Mercedes Arena in Shanghai and many more.